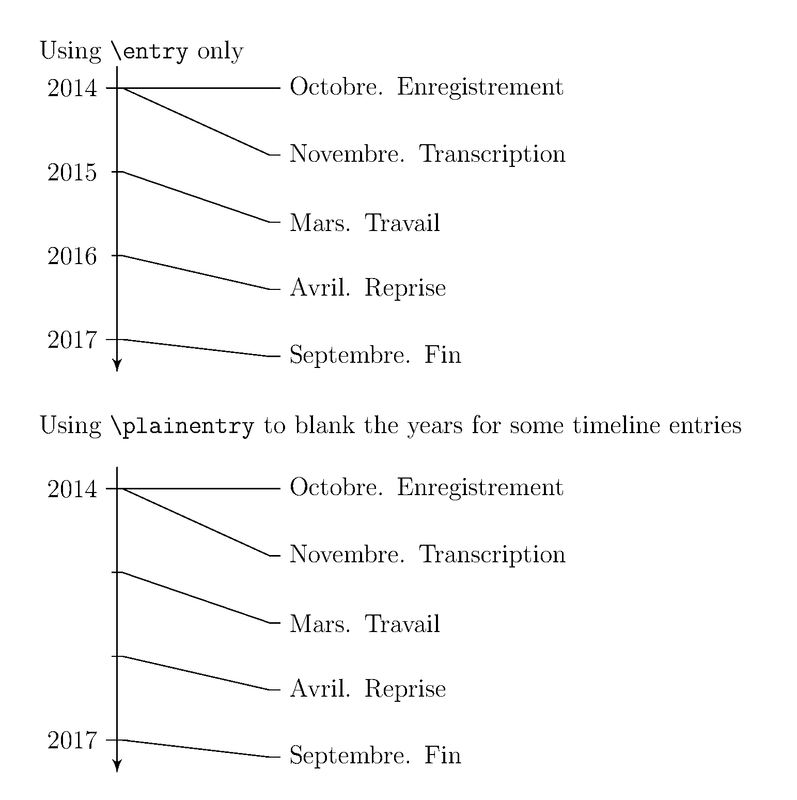 When I compile the following piece of code, I obtain a nice timeline in a short document. But, when I try to compile the same piece of code into a longer document (a 440 pages thesis), a specific date does not appear on my timeline as illustrated in this screenshot: I observed that the problem appears when I have two timelines in my document. One only does not produce that error. Can you help me to fix that? Thanks! The code posted here doesn't compile for me and the \timeline macro is different to the original source, which is here: How can you create a vertical timeline? I didn't try to find where it is different. I replaced the timeline code that was posted with the code from the original source and provide two examples. The first example shows the years for each timeline entry. This can be done using the \entry macro. The second example shows the addition of timeline entries, but without displaying the year. This is done with the \plainentry macro. How can I know if a node is already defined?